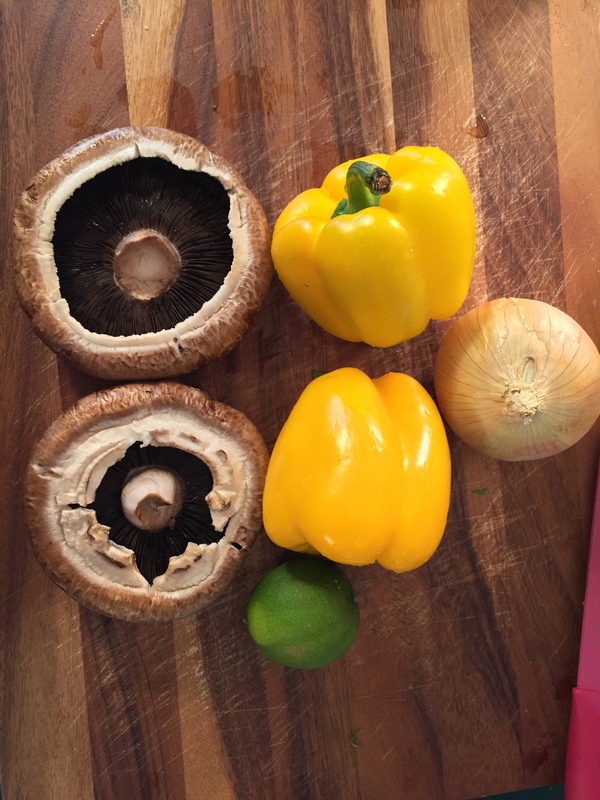 Growing up I used to love eating chicken fajitas, and substituting the chicken for mushrooms was definitely an upgrade. 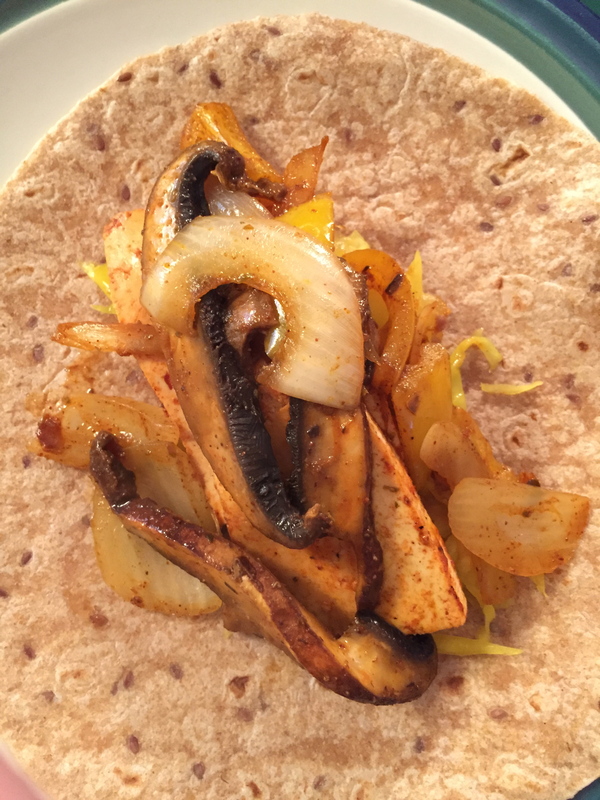 I love mushrooms! 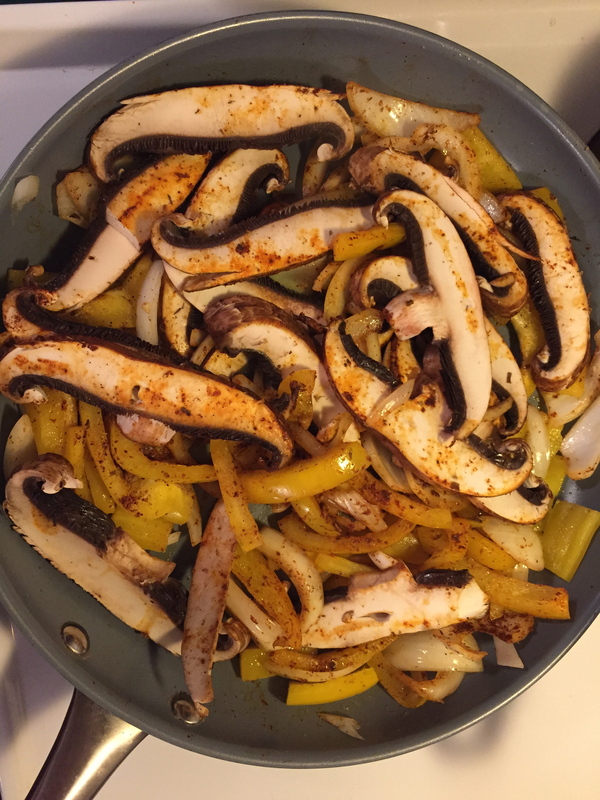 I also used my tofu recipe from when I made BLT’s a while back for a little extra something in the fajitas, so. good! 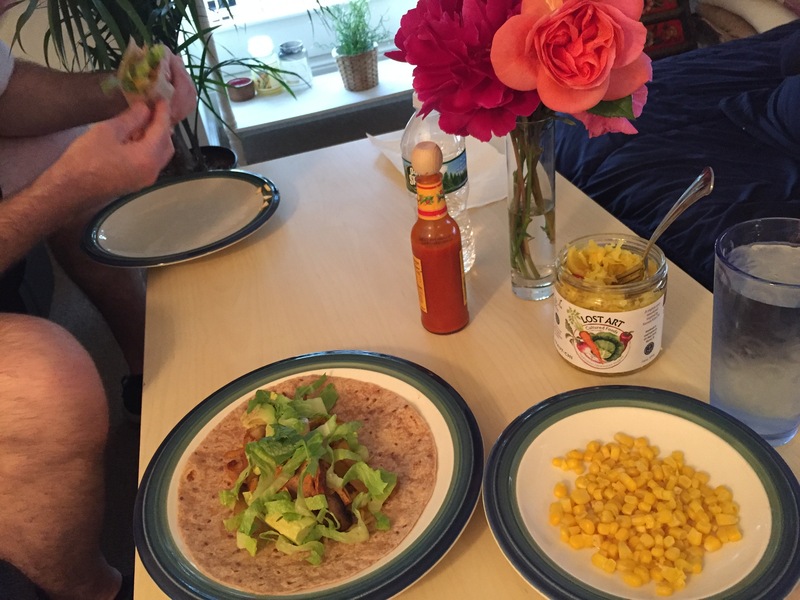 Since we load up our fajitas with fresh vegetables and beans, having a small side of corn was perfect with this meal. 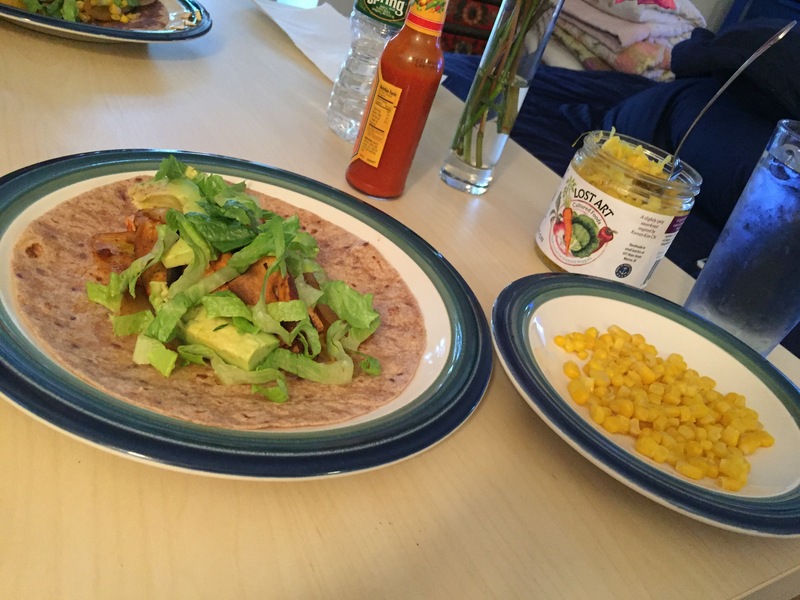 I hate how sandwiches/tacos/fajitas never photograph well! And as always, I put this on top of my fajita (and everything else for that matter). 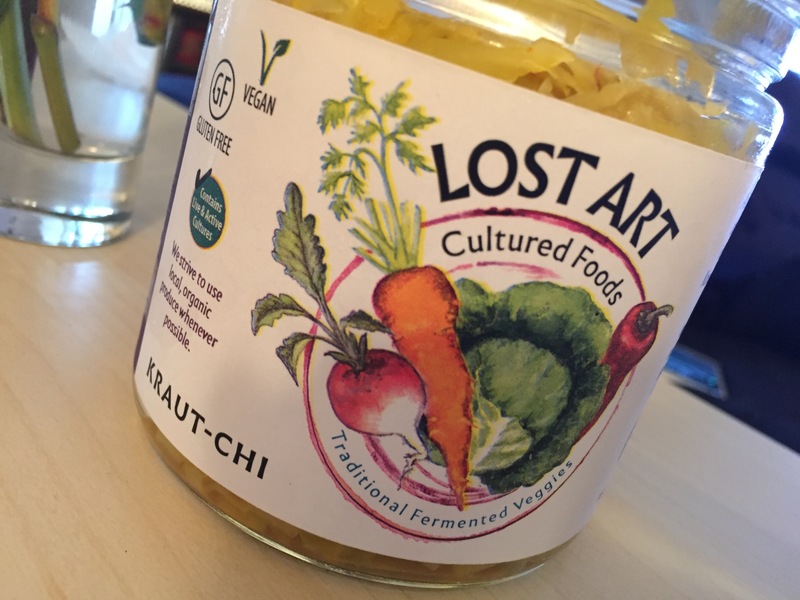 I’ve written about the benefits of fermented vegetables before, and I love the way this local company does theirs. You will never not find a jar in my refrigerator! 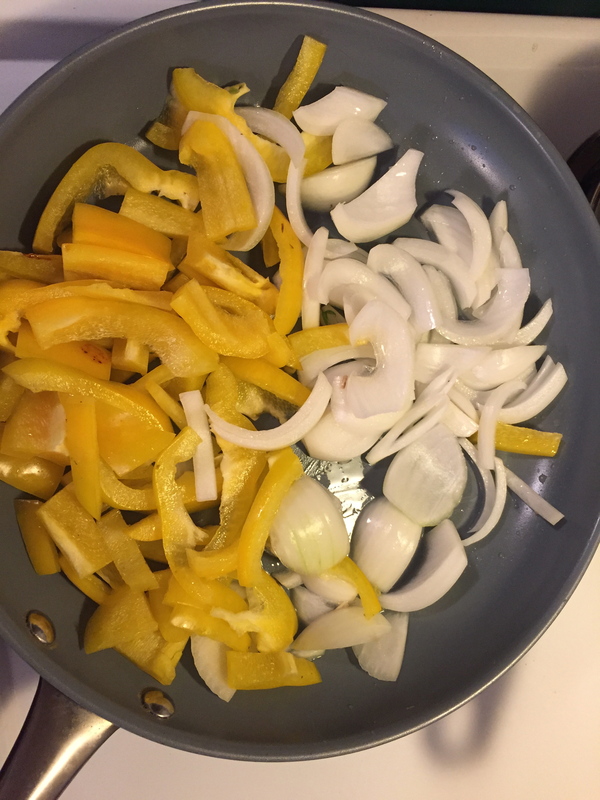 Posted in UncategorizedTagged BellinisToBlooms, Blog, Blogger, BlogPost, CulturedFoods, DairyFree, Dinner, Fajitas, Fermented, GlutenFree, Healthy, Homemade, KristaCooks, LostArt, MexicanFood, Organic, Portobella, Recipe, Taco, Tofu, Vegan, VegetarianBookmark the permalink.